Stress? Sore muscles? Enjoy the good life with a personal spa courtesy of Koko Beach Hot Tubs. Our Edmonton business offers sales, installations and maintenance of hot tubs, saunas and gazebos. We’ll turn your home into a haven of relaxation, where you can enjoy quiet moments of solitude, close times with friends and family, and unforgettable group gatherings. Our staff is knowledgeable and friendly, and customers love our attentive service and affordable prices. Don’t spend big bucks on spa retreats – bring the serenity right into your own home! We also sell chemicals, filters, hot tub covers and more. 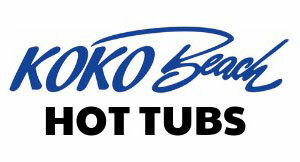 To ask questions or request service, contact Koko Beach Hot Tubs today. We’ve got decades of experience and we’re here to serve you!